Most entrepreneurs have the temptation of going it alone. By definition, they are willing to create what wasn’t there before. Most entrepreneurs aren’t content to wait for everyone else to come to agreement with their ideas. They are willing to blaze the trail themselves. As a result, their passion and vision often leads them into uncharted territory. Entrepreneurs don’t mind. Entrepreneurs are always up for the challenge. But a totally maverick approach can be limiting and self-defeating. There is a difference between independence and isolation. The power and synergy of belonging to Mastermind Of Entrepreneurs Group will differentiate you and your business from that of your competitors by far. The most successful entrepreneurs understand that there is a time for going it alone and a time for working together. There is a time for singular commitment to your vision and a time to listen to the ideas and experiences of others. Having the power of peer insight and support is too greater opportunity to be missed. This is the power of my Mastermind Of Entrepreneurs Groups, also known as Mastermind Group. Here are five compelling reasons to get yourself involved in a Mastermind Of Entrepreneurs Group! You Can’t See the Back of Your Own Head! No matter how much you have studied your business and no matter how carefully you have planned, you can only see yourself and your business from your own vantage point. Just as you can’t see the back of your own head (without the aid of mirrors or cameras! ), it’s difficult to see your business from every vantage point. Your Mastermind Of Entrepreneurs Group will bring new eyes to your business – its strengths and its challenges. By seeing things through their eyes, you will find that you have gained invaluable information about your company and how to drive its further success. More importantly, some of their insights will only develop over time as they gain a deeper and deeper understanding of your business. It would be reckless to deny yourself the insights that other people can give you. Your Mastermind Of Entrepreneurs Group puts you in a position to seize on these insights. The Longer the Lever the Greater the Leverage. As an entrepreneur, you are constantly trying to lift your business to new heights. Think of this task in the metaphor of the lever and the load. The load you are lifting is your business. The fulcrum, the pivot point of your lever, is your business’s USP or Unique Selling Proposition (For more information on the vital importance of developing and understanding your USP, see my article on USP). The lever that you use to lift your business is the lever of your experiences. The lever is your accumulated experiences, paradigms and models. Those experiences, paradigms and business models allow you to raise your business to new heights. But consider this, given the same size company and a similar USP, which entrepreneur will take their business to the highest level of success? The company leaders with who have the longest lever with the knowledge to use it correctly. The Greek scientist Archimedes famously said, “Give me a fulcrum and a long enough lever and I will move the world.” That’s exactly what the Mastermind Of Entrepreneurs Group does. By sharing experiences and learning from your peers (especially ones outside of your immediate product or service market), you acquire new models and paradigms. You lengthen your lever. You will be amazed at how, in the days following a Mastermind Of Entrepreneurs Group meeting, new ideas and applications of other people’s experiences will burst into your consciousness. The application of ideas and themes from their business and experiences are fuel for your creativity. Guaranteed. So how much would one breakthrough insight be worth for your business? The Stronger the Network, the Stronger the Connections. People do business with people they like. At the end of the day, that’s really not an oversimplification. Years of psychological research have verified what we already know from our own experiences. We like to deal with people we like and enjoy. We like to deal with people like us. Good, bad or otherwise, its reality. So the next time you hear about the rich taking care of each other or backroom deals, don’t think that it is something insidious. It’s perfectly natural. They aren’t trying to be exclusionary – they are simply doing what we all prefer to do. They are dealing with their friends. They are dealing with people they know and trust. By becoming a part of a Mastermind Of Entrepreneurs Group, you are moving to the other side of the closed door. You are stepping into the backroom. You are forming relationships with other entrepreneurs and business leaders. You are becoming know and becoming trusted. You are developing your network of connections. You are becoming one of the insiders. Don’t kid yourself…you need the accountability. As they say, the road to hell is paved with good intentions. If you want to achieve something, you have to publicly commit to the group and then give yourself accountability. If you don’t immediately recognize this as true, then it is doubly true for you! As entrepreneurs, we are creative by nature. We can solve any problem to which we focus our attention. The problem is that this same creativity can be unleashed on excusing us from not meeting our own goals. We can justify and rationalize with the best of them. By participating in a Mastermind Of Entrepreneurs Group, you are asking others to give you accountability. They are not going to be fooled or misled by your rationalizations. They want you to succeed, and they will help you stay on task. Also, knowing that they will provide this accountability, you will find it much easier to reach your goals and complete your objectives. The final compelling reason to become part of a Mastermind Of Entrepreneurs Group is perhaps the simplest. It’s what successful entrepreneurs do. Without exception, successful entrepreneurs have found ways to create and participate in the sharing of ideas, challenges and struggles with similarly situated peers. When you are ready for this level of success, you will recognize that it’s time to make sure you are participating in a Mastermind Peer Group. You need to be with successful people. You need to be with other successful business leaders and entrepreneurs. Those are the successful kind of people, and it would be a huge mistake to forsake their companionship. You will be understood by people that are working to lift their businesses just like you are. You are an owner of the success of your enterprise. Isn’t it time to act like it? While these are five of the best reasons to join my Peer Mastermind Groups, there are many more. 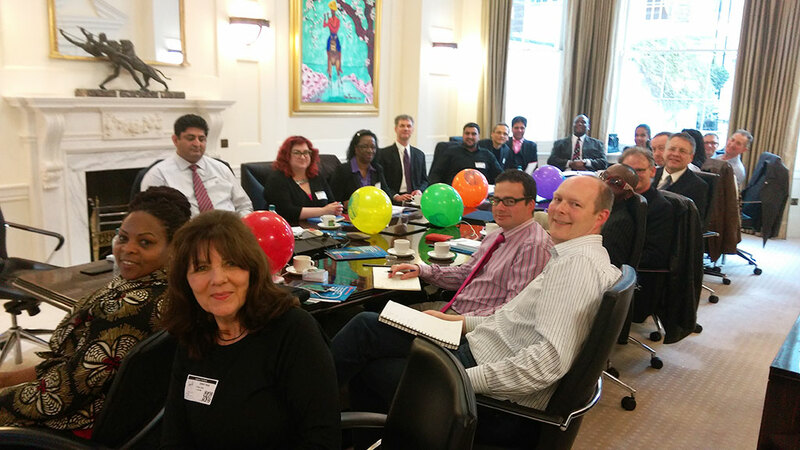 If you are ready to step into the circle and to link up with other successful entrepreneurs at the Ritz in London or our Birmingham group, my Mastermind Of Entrepreneurs Group is right for you. Just complete the simple application below and we will arrange to have a chat on the phone without any obligations what so ever to see if we are a fit for each other. Or you can read more about our Mastermind Group by clicking on this link and seeing what others have to say about Mastermind Of Entrepreneurs Groups in London.